Our mission in teaching the martial arts is to be a force of change in the lives of our students, create a positive influence our communities, state, country and throughout the world. We endeavor to work as force of change through the empowerment of all who walk through our doors. The greatest compliment that we can every receive is the testimonial and recommendation of our current and past students and their parents. My son has developed into a strong, confident young man due to the values given to him at GMH's. The coaches believe in the kids and really encourage them to be their best. They do NOT hand out belts because "it's time" to get one - these kids have to EARN their advancements! His peers and coaches will remain friends for his lifetime. Enrolling him at GMH's was one the best parenting decisions I've ever made! Our daughter has studied tae Kwon do with Master Tom for 7 years. Everyone is treated like family! She just started Gracie Jiu jitsu! She loves it! Training has given her confidence and helped make her more successful in all areas of life. I can’t say enough about all the hard work and dedication that goes into training and leading that everyone at Master Hans martial arts does for all of our kids and families. We LOVE Gracie Jiu Jitsu! Master Tom is wonderful with the kids! They all love and respect him. Not only do these kids enjoy the program, but they are also learning practical, effective ways to defend themselves. I can't say enough great things about this program. I highly recommend Gracie Jiu-Jitsu's BullyProof program! So proud to be a part of this Dojang! There are an amazing group of people here. 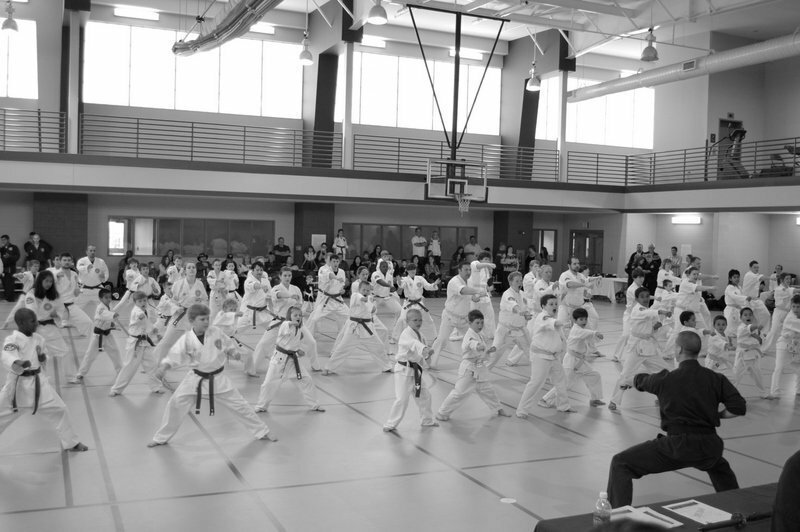 Yes, they teach Taekwondo, but it's so much more. They encourage our kids to be upstanding members of the community. I love to see all the kids from class participate in community connection! GMHMA will work with people with disabilities and physical limitations, meet you where you are, accommodate and modify as needed, encourage you, believe in you, and help you develop, become stronger, grow, and heal, both physically and mentally. Words can't describe the feeling of watching your child go through the trials of this martial art and realizing she's not alone. This is definitely a wonderful family. I love going and training with my family... the instructors make you feel like family and you are part of their family. I love this family!!!! I feel very blessed to be apart of this family!!!! Awesome program. Blows ATA out of the water. Challenges you to be the best physically, mentally, and spiritually. I can not say enough good about these people! My family is better in every way because of the values they live & show! You will only be blessed for joining this family! Dont know how my family would be if it werent for Mr. Tom and this organization! My son had very bad anger issues when he was 5 years old. We started with GMHMA when he was in first grade and he learned the 6 basic principles! We (our family) will always live by these principles. The structure of the kids program was just what we needed. The after school program is top notch. Not just a babysitter. They had a study hour and then a 1 hour karate session every day. Mr. Tom is a role model for these kids. When we needed help with any issues with my son he would talk to him. He is now 13 years old and will be testing soon for his 2nd stripe on his black belt. Grandmaster Hans Martial Arts has a great program with a lot of great people working there. My son is so excited about what he is learning.